Abandonment Notice! On Friday, November 28, 2014, status on the trademark changed to Application withdrawn. Apply Now for this name starting at $449! 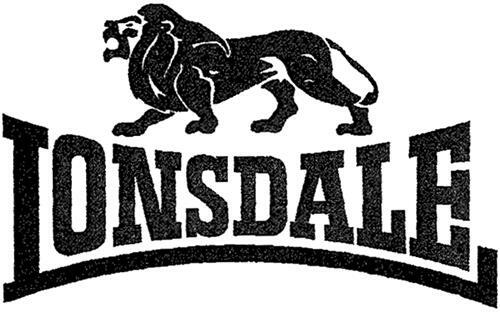 On Thursday, November 20, 2008, a canadian trademark registration was filed for the above pictured logo by Lonsdale Sports Limited Unit A, Brook Park East, Shirebrook, NG20 8RY, UNITED KINGDOM . The Canadian IP office has given the trademark application number of 1419037. The current status of this trademark filing is Application withdrawn. The correspondent listed for is CASSELS BROCK & BLACKWELL LLP of SCOTIA PLAZA, SUITE 2100, 40 KING STREET WEST, ONTARIO, CANADA M5H3C2 The trademark is filed in the description of Toiletries, namely finger towels impregnated with cleansing preparations; towels containing non-medicated toilet preparations, tissues impregnated with cosmetic lotions, deodorants; cosmetics, namely body powder, eye makeup, eyebrow cosmetics, eyebrow pencils, makeup, makeup powder, makeup preparations; cosmetic kits comprised of brushes, eyelash curlers; hair care products, namely hair waving preparations, hair setting preparations, hair lotions; skin care products, namely cosmetic preparation for tanning the skin, makeup removing preparations, beauty masks; hand and body creams, lotions for cosmetic purposes, namely pre shaving and after shaving lotions, moisturizers; cleaning preparations, namely hand and body soaps, deodorant hand and body soaps, shaving soaps, shaving preparations, cleansing milk for toilette purposes; washing and bathroom preparations, namely bath lotions, bath salts, shower gels; body care products, namely antiperspirants, eau de cologne, talcum powder; nail care products, namely emery boards, emery paper, emery cloth all for nail grooming, nail varnish removing preparations, nail polish, nail varnish; colouring matters, namely tints and lotions, all for the hair and the beard, hair bleaching preparations, hair colorants; hair dyes; antiperspirant soap; oils for cosmetic purposes, namely essential oils, oils for perfumes and scents; depilatory preparations, namely hair removal cream and lotion; shoe care products, namely boot cream, boot polish, shoe cream, shoe polish, shoe wax; perfumery, namely colognes and perfumes; cleansers, namely detergents and stain removers; none of the aforesaid products are for medical purposes. , Business and management advice; business consultancy and business information services, namely compilation and provision of trade, business, price and statistical information and databases; preparation and compilation of reports; business administration, advertising services, marketing and marketing planning, namely facilitating the identification and formulation of qualities, ideals, standards of excellence, values and characteristics of businesses, organizations and projects that will differentiate them from their competitors in the marketplace; advisory and consultancy services relating to marketing, marketing assessment services; business planning and development services relating to stock control, scanning, tagging and security; setting up, organization, administration, operation and supervision of customer loyalty, sales, incentives and promotional activity schemes and advice, consultancy and information services relating to such services; business management, including assistance and advising for the establishment and management of retail stores; office functions, namely typing, secretarial and clerical services; the bringing together for the benefit of others of a variety of goods enabling customers to conveniently view and purchase those goods in a department store, wholesale outlet, supermarket, discount retail park, retail shop and/or concession, via a television shopping channel or from a catalogue by mail order or by means of telecommunications or from an Internet website specializing in the marketing of general merchandise; provision of space on websites for advertising goods and services; business advisory services, promotional services and information services relating thereto; direct mail advertising; distribution of samples and promotional items; marketing services, namely market analysis, research, business advisory and information services in the field of sport, health and fitness provided online from a computer database or the Internet; retail services in the field of sport, health and fitness, namely the sale of sporting equipment, clothing, footwear, headgear, accessories, books, toiletries, eyewear, watches and bags. , Vitamin and dietary supplements, preparations for dietary use, namely mineral and protein preparations and substances, mineral drinks, vitamin drinks, drinks predominantly of minerals or vitamins, namely protein drinks in powder form for mixing and shakes in a ready to drink form; food supplements, namely meal replacement bars, shakes and drinks; carbohydrates in liquid form, plant compounds and extracts for use as dietary supplements, nutrients and nutriments. , Eyewear, namely spectacles, sunglasses, sports goggles, swimming goggles; frames and lenses for spectacles and sunglasses; cases for spectacles and sunglasses; chains and cords for spectacles and sunglasses; protective clothing and accessories, namely knee pads, shields and protectors; elbow pads, shields and protectors; eye protectors, namely visors; protective glasses, sunglasses and goggles; helmets, namely protective helmets, motorcycle helmets, crash helmets for cyclists, sports helmets; protective clothing, headgear and footwear for use in sport, namely face shields, abdominal guards, protectors for elbows and knees when riding bicycles, mouth protectors (gum shields); parts and fittings for all the aforesaid goods. , Horological and chronomatic instruments, namely clocks and watches, sports watches; watch straps; trophies, belt buckles, all being of precious metal or coated therewith; jewellery and imitation jewellery; time keeping instruments, namely alarm clocks; cases for clock and watch-making, namely cases for watches, clock cases; chains of precious metal; clock hands; imitation gold; jewel cases of precious metal; key rings; cufflinks, tie clips, tie pins; watch bands; wrist watches. , Stationery, namely pens, pencils, mechanical pencils, pencil cases, diaries, calendars, postcards, posters, writing paper; printed matter, namely books, address books, binder note books, clear books, loose leaf books, note books, spiral note books, stock books, word note books, calendars, diaries, periodicals, magazines, newspapers; graphic reproductions, namely pictures, posters, prints, printed cards, photographs; greeting cards, photograph albums, catalogues, brochures and leaflets; writing implements, namely ball pens, felt pens; nib pens, mechanical pencils, sign pens; printed cards, namely postcards; binder materials, namely binders, instructional and teaching materials (other than apparatus), namely manuals; first aid manuals; books and magazines relating to sports including coaching and training manuals; coasters; pen stands, pencil stands, photo stands; stickers; stationary tape; transfers and decalcomanias, pen trays, pencil trays, table liners of paper; cheque book holders; glues. , Leather and imitations of leather and goods made of these materials, namely skins and hides, bags and holdalls, namely luggage, cases, trunks, travelling bags, travelling cases, hand luggage, overnight luggage, bags for travel accessories, shoe bags for travel and garment bags; briefcases, document cases and portfolios; school bags and school satchels, haversacks, backpacks, rucksacks, knapsacks, handbags, shoulder bags, clutch bags, tote bags, sports bags, athletic bags, beach bags, shopping bags, cycle bags, pannier bags, record bags for musical recordings; belt bags, toilet bags, hip pouches; belts; wallets, purses, pouches and key cases; baby and child carriers; camping bags; frames for handbags, umbrellas or parasols; fastenings and straps of leather; key fobs made of leather incorporating key rings; card holders; umbrellas, golf umbrellas, golf umbrella seats, parasols; baggage; articles of luggage, sports bags; leather goods, namely bags and panniers for bicycles; straps for skates; cases for mobile telephones; parts and fittings for all the aforesaid goods. , Textile articles, namely textiles, textile wall hangings; linen and upholstery fabrics; bed linen, namely bed covers, bed clothes, bed spreads, quilt covers, duvet covers, sheets, pillow cases, pillow covers, quilts, duvets, eiderdowns, sleeping bags, rugs; bath linen, namely, towels, flannels, face towels, shower curtains; table linen, namely table covers, table clothes, table mats, table napkins, napkins, coasters; kitchen towels, tea towels; cushion covers, furniture coverings; handkerchiefs; upholstery fabrics. , Clothing, namely coats; jackets, anoraks, pullovers, trousers, shirts, T-shirts, cagoules, smock and salopettes; gloves, balaclavas, socks, underwear and gaiters; gloves; lightweight clothing, namely waterproof and weatherproof clothing; thermal clothing; footwear, namely sports shoes, trainers, boots, walking boots, football boots, shoes, cycling shoes; trainers, namely sports shoes; headgear; namely hats; sportswear, namely clothing for tennis, squash, table tennis, softball, golf, badminton, volleyball, basketball and baseball, sports uniforms, wet suits; sports headgear (other than helmets), namely baseball caps, sports headgear for use in the sport of boxing; boots and vests; parts and fittings for all the aforesaid goods. , Badges for wear, not of precious metal; zip fasteners for bags; expanding bands for holding sleeves; hair bands; belt clasps; bows for the hair; boxes, not of precious metal, for needles; fastenings for braces, namely braids, buttons and clips; brooches (clothing accessories); buckles (clothing accessories); buttons; edgings for clothing; fastenings for clothing; shoulder pads for clothing; collar supports, namely tabs; cords for clothing; heat adhesive patches for decoration of textile articles; elastic ribbons; embroidery; shoe fasteners; hair ornaments; fringes, namely decorative frills for clothing; hook and pile fastening tapes, namely shoe hooks; lace trimmings; letters and numerals for marking linen; monogram tabs for marking linen; ornamental novelty badges; pin cushions; pins, namely prize ribbons; elastic ribbons; rosettes (haberdashery); shoe laces; shoe ornaments (not of precious metal); snap fasteners; tassels (haberdashery); thread of metal for embroidery; tinsel (trimming for clothing); zippers. , Gymnastic and sporting articles and apparatus, namely sporting articles for use in boxing, namely gloves, helmets, pads, punching bags, skipping ropes, swivels and stands therefor; sporting articles for use in playing the games of football and lacrosse, namely pins, balls, sticks, nets, goal posts; balls for use in sports; toys, games, playthings, namely soft toys namely dolls and animal figures, action figures; novelties, souvenirs, namely pennants, flags, figurines; sports bags; fitness and exercise equipment, namely hand exercisers, hand exercisers (other than for therapeutic use); inflatable balls in the nature of soccer balls, footballs, basketballs, inflatable balls for sports; sports equipment and accessories, namely chest protectors, exercise weights, jump ropes, personal exercise mats, weight lifting belts, abdominal protectors, boxing gloves, punching bags, punching balls, boxing bags, athletic tape, gauze for athletic activities; mixed martial arts rings; mixed martial arts equipment, namely sparring gloves, training gloves, amateur gloves, punch mitts, kick shields, hit shields, striking bags, speed bags, speed bag platforms, double end bags, heavy bags for punching; knee protectors for use when participating in sports; stationary exercise bicycles; children's bicycles; toy bicycles. .
(1) - Toiletries, namely finger towels impregnated with cleansing preparations; towels containing non-medicated toilet preparations, tissues impregnated with cosmetic lotions, deodorants; cosmetics, namely body powder, eye makeup, eyebrow cosmetics, eyebrow pencils, makeup, makeup powder, makeup preparations; cosmetic kits comprised of brushes, eyelash curlers; hair care products, namely hair waving preparations, hair setting preparations, hair lotions; skin care products, namely cosmetic preparation for tanning the skin, makeup removing preparations, beauty masks; hand and body creams, lotions for cosmetic purposes, namely pre shaving and after shaving lotions, moisturizers; cleaning preparations, namely hand and body soaps, deodorant hand and body soaps, shaving soaps, shaving preparations, cleansing milk for toilette purposes; washing and bathroom preparations, namely bath lotions, bath salts, shower gels; body care products, namely antiperspirants, eau de cologne, talcum powder; nail care products, namely emery boards, emery paper, emery cloth all for nail grooming, nail varnish removing preparations, nail polish, nail varnish; colouring matters, namely tints and lotions, all for the hair and the beard, hair bleaching preparations, hair colorants; hair dyes; antiperspirant soap; oils for cosmetic purposes, namely essential oils, oils for perfumes and scents; depilatory preparations, namely hair removal cream and lotion; shoe care products, namely boot cream, boot polish, shoe cream, shoe polish, shoe wax; perfumery, namely colognes and perfumes; cleansers, namely detergents and stain removers; none of the aforesaid products are for medical purposes. (2) - Business and management advice; business consultancy and business information services, namely compilation and provision of trade, business, price and statistical information and databases; preparation and compilation of reports; business administration, advertising services, marketing and marketing planning, namely facilitating the identification and formulation of qualities, ideals, standards of excellence, values and characteristics of businesses, organizations and projects that will differentiate them from their competitors in the marketplace; advisory and consultancy services relating to marketing, marketing assessment services; business planning and development services relating to stock control, scanning, tagging and security; setting up, organization, administration, operation and supervision of customer loyalty, sales, incentives and promotional activity schemes and advice, consultancy and information services relating to such services; business management, including assistance and advising for the establishment and management of retail stores; office functions, namely typing, secretarial and clerical services; the bringing together for the benefit of others of a variety of goods enabling customers to conveniently view and purchase those goods in a department store, wholesale outlet, supermarket, discount retail park, retail shop and/or concession, via a television shopping channel or from a catalogue by mail order or by means of telecommunications or from an Internet website specializing in the marketing of general merchandise; provision of space on websites for advertising goods and services; business advisory services, promotional services and information services relating thereto; direct mail advertising; distribution of samples and promotional items; marketing services, namely market analysis, research, business advisory and information services in the field of sport, health and fitness provided online from a computer database or the Internet; retail services in the field of sport, health and fitness, namely the sale of sporting equipment, clothing, footwear, headgear, accessories, books, toiletries, eyewear, watches and bags. (3) - Vitamin and dietary supplements, preparations for dietary use, namely mineral and protein preparations and substances, mineral drinks, vitamin drinks, drinks predominantly of minerals or vitamins, namely protein drinks in powder form for mixing and shakes in a ready to drink form; food supplements, namely meal replacement bars, shakes and drinks; carbohydrates in liquid form, plant compounds and extracts for use as dietary supplements, nutrients and nutriments. (4) - Eyewear, namely spectacles, sunglasses, sports goggles, swimming goggles; frames and lenses for spectacles and sunglasses; cases for spectacles and sunglasses; chains and cords for spectacles and sunglasses; protective clothing and accessories, namely knee pads, shields and protectors; elbow pads, shields and protectors; eye protectors, namely visors; protective glasses, sunglasses and goggles; helmets, namely protective helmets, motorcycle helmets, crash helmets for cyclists, sports helmets; protective clothing, headgear and footwear for use in sport, namely face shields, abdominal guards, protectors for elbows and knees when riding bicycles, mouth protectors (gum shields); parts and fittings for all the aforesaid goods. (5) - Horological and chronomatic instruments, namely clocks and watches, sports watches; watch straps; trophies, belt buckles, all being of precious metal or coated therewith; jewellery and imitation jewellery; time keeping instruments, namely alarm clocks; cases for clock and watch-making, namely cases for watches, clock cases; chains of precious metal; clock hands; imitation gold; jewel cases of precious metal; key rings; cufflinks, tie clips, tie pins; watch bands; wrist watches. (6) - Stationery, namely pens, pencils, mechanical pencils, pencil cases, diaries, calendars, postcards, posters, writing paper; printed matter, namely books, address books, binder note books, clear books, loose leaf books, note books, spiral note books, stock books, word note books, calendars, diaries, periodicals, magazines, newspapers; graphic reproductions, namely pictures, posters, prints, printed cards, photographs; greeting cards, photograph albums, catalogues, brochures and leaflets; writing implements, namely ball pens, felt pens; nib pens, mechanical pencils, sign pens; printed cards, namely postcards; binder materials, namely binders, instructional and teaching materials (other than apparatus), namely manuals; first aid manuals; books and magazines relating to sports including coaching and training manuals; coasters; pen stands, pencil stands, photo stands; stickers; stationary tape; transfers and decalcomanias, pen trays, pencil trays, table liners of paper; cheque book holders; glues. (7) - Leather and imitations of leather and goods made of these materials, namely skins and hides, bags and holdalls, namely luggage, cases, trunks, travelling bags, travelling cases, hand luggage, overnight luggage, bags for travel accessories, shoe bags for travel and garment bags; briefcases, document cases and portfolios; school bags and school satchels, haversacks, backpacks, rucksacks, knapsacks, handbags, shoulder bags, clutch bags, tote bags, sports bags, athletic bags, beach bags, shopping bags, cycle bags, pannier bags, record bags for musical recordings; belt bags, toilet bags, hip pouches; belts; wallets, purses, pouches and key cases; baby and child carriers; camping bags; frames for handbags, umbrellas or parasols; fastenings and straps of leather; key fobs made of leather incorporating key rings; card holders; umbrellas, golf umbrellas, golf umbrella seats, parasols; baggage; articles of luggage, sports bags; leather goods, namely bags and panniers for bicycles; straps for skates; cases for mobile telephones; parts and fittings for all the aforesaid goods. (8) - Textile articles, namely textiles, textile wall hangings; linen and upholstery fabrics; bed linen, namely bed covers, bed clothes, bed spreads, quilt covers, duvet covers, sheets, pillow cases, pillow covers, quilts, duvets, eiderdowns, sleeping bags, rugs; bath linen, namely, towels, flannels, face towels, shower curtains; table linen, namely table covers, table clothes, table mats, table napkins, napkins, coasters; kitchen towels, tea towels; cushion covers, furniture coverings; handkerchiefs; upholstery fabrics. (9) - Clothing, namely coats; jackets, anoraks, pullovers, trousers, shirts, T-shirts, cagoules, smock and salopettes; gloves, balaclavas, socks, underwear and gaiters; gloves; lightweight clothing, namely waterproof and weatherproof clothing; thermal clothing; footwear, namely sports shoes, trainers, boots, walking boots, football boots, shoes, cycling shoes; trainers, namely sports shoes; headgear; namely hats; sportswear, namely clothing for tennis, squash, table tennis, softball, golf, badminton, volleyball, basketball and baseball, sports uniforms, wet suits; sports headgear (other than helmets), namely baseball caps, sports headgear for use in the sport of boxing; boots and vests; parts and fittings for all the aforesaid goods. (10) - Badges for wear, not of precious metal; zip fasteners for bags; expanding bands for holding sleeves; hair bands; belt clasps; bows for the hair; boxes, not of precious metal, for needles; fastenings for braces, namely braids, buttons and clips; brooches (clothing accessories); buckles (clothing accessories); buttons; edgings for clothing; fastenings for clothing; shoulder pads for clothing; collar supports, namely tabs; cords for clothing; heat adhesive patches for decoration of textile articles; elastic ribbons; embroidery; shoe fasteners; hair ornaments; fringes, namely decorative frills for clothing; hook and pile fastening tapes, namely shoe hooks; lace trimmings; letters and numerals for marking linen; monogram tabs for marking linen; ornamental novelty badges; pin cushions; pins, namely prize ribbons; elastic ribbons; rosettes (haberdashery); shoe laces; shoe ornaments (not of precious metal); snap fasteners; tassels (haberdashery); thread of metal for embroidery; tinsel (trimming for clothing); zippers. (11) - Gymnastic and sporting articles and apparatus, namely sporting articles for use in boxing, namely gloves, helmets, pads, punching bags, skipping ropes, swivels and stands therefor; sporting articles for use in playing the games of football and lacrosse, namely pins, balls, sticks, nets, goal posts; balls for use in sports; toys, games, playthings, namely soft toys namely dolls and animal figures, action figures; novelties, souvenirs, namely pennants, flags, figurines; sports bags; fitness and exercise equipment, namely hand exercisers, hand exercisers (other than for therapeutic use); inflatable balls in the nature of soccer balls, footballs, basketballs, inflatable balls for sports; sports equipment and accessories, namely chest protectors, exercise weights, jump ropes, personal exercise mats, weight lifting belts, abdominal protectors, boxing gloves, punching bags, punching balls, boxing bags, athletic tape, gauze for athletic activities; mixed martial arts rings; mixed martial arts equipment, namely sparring gloves, training gloves, amateur gloves, punch mitts, kick shields, hit shields, striking bags, speed bags, speed bag platforms, double end bags, heavy bags for punching; knee protectors for use when participating in sports; stationary exercise bicycles; children's bicycles; toy bicycles.